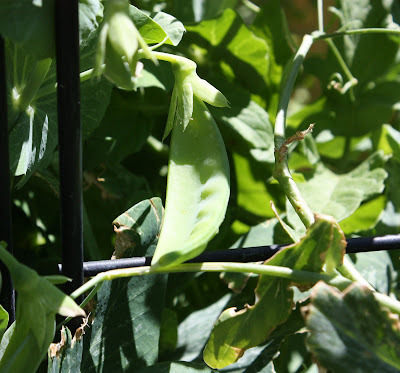 We call them snow peas, and they ripened late this year. Plus, our cool spring has helped prolong their life. They will wither in the heat.